From the modern iteration of DuckTales. 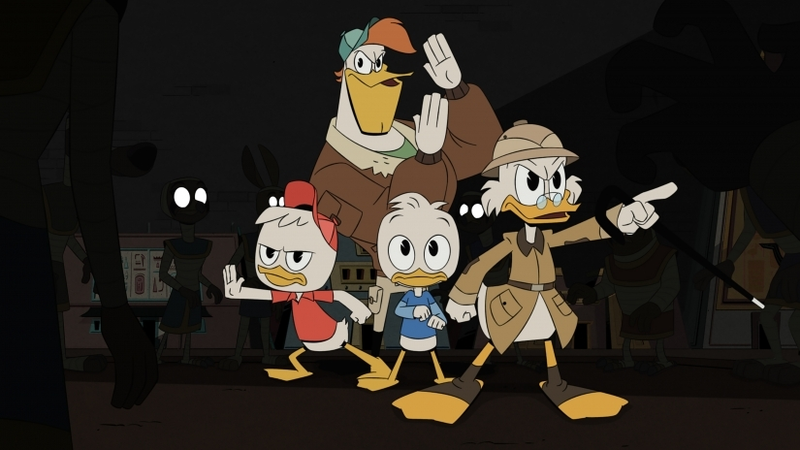 The DuckTales revival is going strong at Disney, with its first season still airing on the Disney Channel. We’re excited to share the exclusive premiere of a the first part of a series of short-form episodes (webisodes? duckisodes?) called “World’s Longest Death Trap” here on io9. With Webby and Dewey trapped in a temple, will they escape? Will we find out just how long this death trap goes on for? Find out, below.